Dishwashers Direct are proud to present the the Krupps Evolution line of flight type dishwashers which are the ideal answer for heavy duty workload and are recommended to businesses who need to dry plastic containers and crates for immediate re-use. 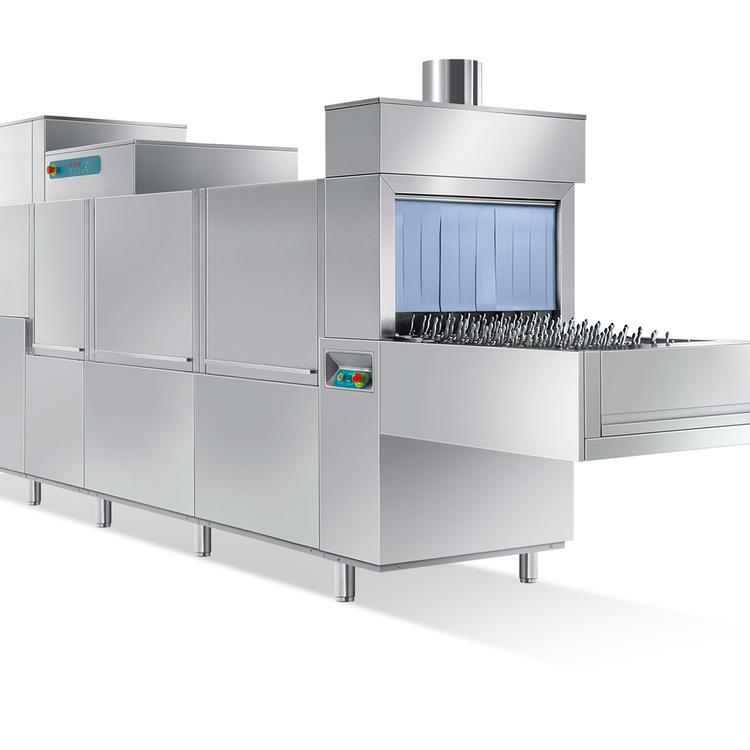 The Krupps FC42E flight type dishwasher is a model with double wash and double rinse cycles. It is designed for high productivity and offers such benefits such as reduced water consumption and power consumption and can be customised to meet your particular needs. Using both a hot and cold water supply you can choose to upgrade this washer to improve performance with optional rinse aid dosing and detergent pump. The Krupps FC42E has 2 speed wash cycles that will wash between 3200-4820 plates per hour per hour. The Krupps FC42E is delivered within 4 weeks dependant on whether choose delivery only or choose to use our qualified installation service. If you choose to have this dishwasher installed by Dishwashers Direct, we will provide you with 1 year FREE Parts & Labour Warranty. If you choose delivery only, we offer parts only warranty. You can choose to upgrade and extend your warranty upto 3 years including parts and labour.